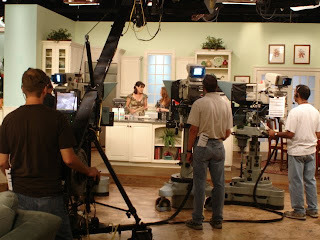 Carol Kicinski is a Gluten-Free TV personality on Daytime TV and is America’s 1st gluten-free (only) monthly TV chef. Daytime airs nationwide on 191 stations and on Dish TV, reaching 97 million TV households monthly. Check for the station in your local area. Carol’s amazing recipe development skills have brought her to the attention of the local Tampa Bay media and catapulted her into a gluten-free cooking segment as a monthly contributor on the nationally syndicated Daytime TV show on NBC. “Daytime is geared towards daily lifestyles and entertainment content. Right now, there is no other show like this in any market. Hosted by Cyndi Edwards and Jerry Penacoli, each day get ready to live, laugh and learn about new things that will make you smile. You’ll learn cooking secrets from top chefs, fix-it tips you can do yourself. Daytime has been running on stations successfully for more than 10 years!“ –Daytime TV. Carol started on this journey over 20 years ago, as a mother with a diagnosis of gluten-intolerance, she started recipe development in the home – converting regular recipes to gluten free recipes without diminishing the taste and textures for the rest of her family who were not gluten-intolerant. With a successful professional career as a financial controller for a $32M company, a high-end event planner, and even a part-time Hollywood career as Carol filled the theater with her many performances and three movie appearances, she has combined her past experiences and skills to bring awareness, education and resolutions to others who experience the same gluten intolerance. Her first gluten free cookbook – Simply…Gluten Free Desserts – a Best Seller – contains 150 incredible dessert and breakfast-sweets recipes. It was published by Thomas Dunne Books (April 2011), launched on a QVC One-Hour Special Show and is now available nationwide in bookstores and on Amazon.com. This gluten free cookbook goes beyond offering great tasting recipes as Carol teaches gluten free baking and cooking, including a great flour blend formula for the homemaker. Carol’s second cookbook, Simply…Gluten Free Quick Meals (Thomas Dunne Books – April 2012) contains 100 quick and easy meal for you and the family. Carol’s purpose is to bring forward gluten-free solutions that have the taste and texture of regular great foods from hot dogs to elegant dinners – from quick meals to fancy dinner parties. She’s just as at home in the Daytime TV studio chatting it up with her fabulous hosts Cyndi Edwards and Jerry Penacoli, as she is in her own kitchen – preparing gluten free nutritious meals, desserts and snacks! 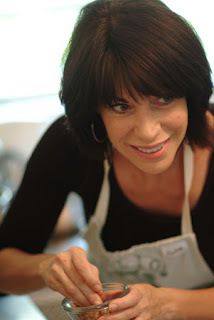 Watch Carol’s Gluten Free TV episodes! Dec 10, 2010 – Gluten Free Holiday Entertaining – Pinoli Cookies!